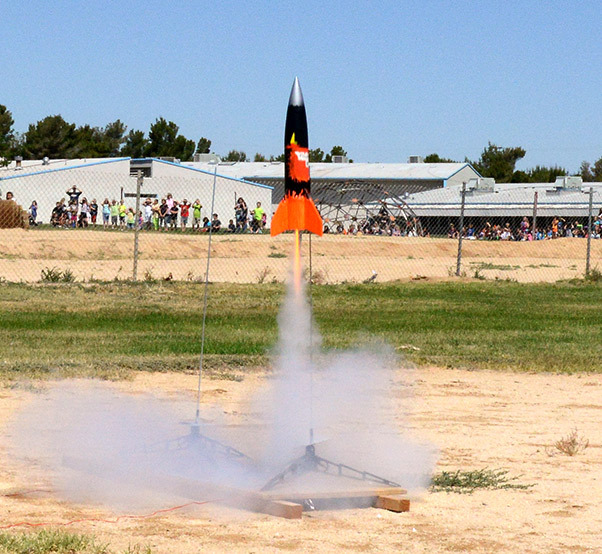 One after another, rockets blasted off from Desert High School’s junior varsity baseball field for Branch Elementary School’s 4th Annual Intermediate Space Challenge held May 12. 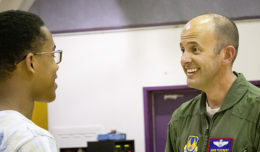 Students at the school on Edwards Air Force Base, Calif., cheered as the rockets they built were launched into the sky. The competition included 4th-6th grade classes that work on a Big Daddy Rocket Kit for around two weeks leading up to the big day. 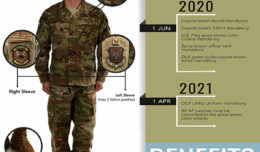 Each class operates like a small business during the design and construction phase. Students are assigned to teams for t-shirt design, banner decorating, rocket design, or the pit crew to help with any additional tasks. Mentors are invited to teach the students how to build their rockets. Throughout the process, the students learned about Newton’s Laws of Physics and materials like different types of glue. They also learn to work with care because the whole class is depending on each individual to put together a rocket that will be able to sustain flight. 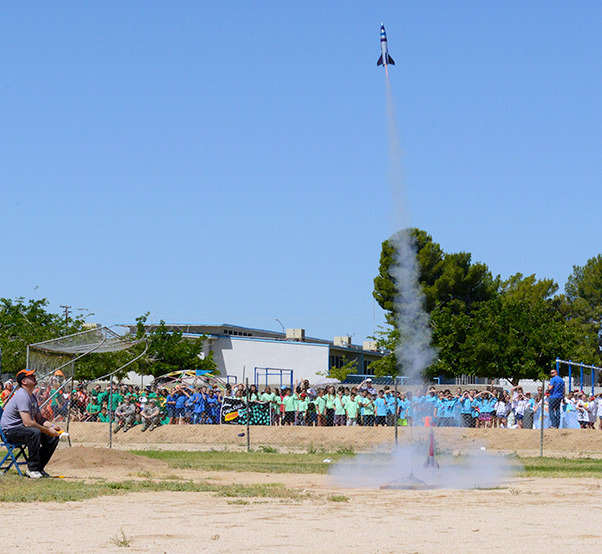 In all, 24 Class A amateur rockets were launched to the “oooos” and “ahhhhhs” of the students.